Congratulations to Susquehanna Valley High School junior Alexis Warner for her acceptance into the 2019 New York/Pennsylvania Scholastic Art Awards. 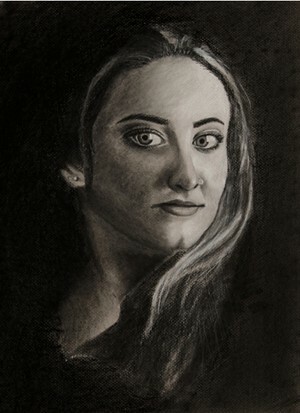 Alexis’ charcoal drawing Self Portrait received an Honorable Mention award in the drawing category, and will be on display at the Arnot Museum in Elmira through the month of February. There will be a gala awards presentation and reception for all the winners on January 27, 2019. This is the 76th year that the Scholastic program has honored young artists in our region. This year, over 900 pieces of artwork were submitted for adjudication, with only 230 accepted for the exhibition.